Homogenization in the Biotech industry is used for many applications, including cell disruption, particle size reduction, micro and nano emulsions, and dispersions. In this growing industry, homogenizers are used to effectively rupture yeast, bacteria, E. coli, fungi cells, and more. 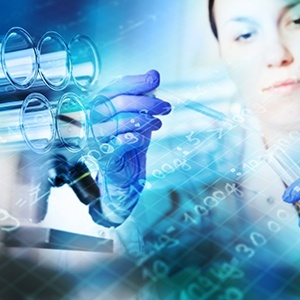 Keep reading to discover five interesting facts about homogenizers for the biotech industry. The first homogenizer was invented in 1899 by Auguste Gaulin, a French inventor. This early homogenizer was developed to aid the milk industry, and broke milk’s fat globules into smaller, more uniform sizes in order to resist separation. Modern homogenization involves a two step process: particles are first pushed through tubes or pores to reduce their size, and they are then subjected to high pressures to further reduce their particle size. In the Biotech industry, homogenization is more commonly referred to as micronization or cell fractionation. Cell fractionation is a procedure for rupturing cells and creating separation and suspension of cell components in a given medium (usually water or an organic solvent). Cell fractionation involves three steps: Extraction, Homogenization, and Centrifugation. During the extraction phase, molecules, tissues, or cells are isolated and suspended in an isotonic solution. During the homogenization step, the cell is ruptured to create a smaller particle size. At BEE International, we offer a number of industrial-grade homogenizers that use state of the art technology to help with emulsification, dispersion, and grinding of particles. In addition to our revolutionary technology, we also offer homogenizers that utilize a constant processing pressure. 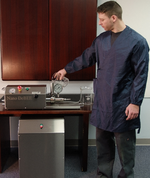 This allows our equipment to produce consistent rates of pressure and eliminates the risk of any contamination. At BEE International, our homogenizers improve results in the biotech industry, allowing this important industry to create more effective medications, chemicals, vaccines, and more. Please contact us today to learn more about our equipment and how we can assist with your next big project. We look forward to working with you. Homogenization, also known as particle size reduction, has countless benefits for a number of industries, including pharmaceutical, cosmetic, food, and fuel. However, the biotechnology industry also has a use for the powerful technology that homogenizing equipment offers. The synthesis of biofuels, medicine, and vaccinations are just a few things that this growing field is responsible for, and high pressure homogenization allows these critical processes to take place. Continue reading to learn more about high-pressure homogenization in the biotechnology industry, as well as more information on how BEE International can help your industry meet its manufacturing goals. High pressure homogenizers allow for many processes to take place within the biotech industry, including cell disruption, particle size reduction, micro and nano emulsions and dispersions, and much more. In the case of cell disruption, homogenizers allow for a variety of cells – E. coli, yeast, bacteria, and even delicate animal tissues – to be ruptured in order to recover the contents of essential cells. High pressure homogenizers can also be utilized to create cost effective medicines, modify microorganisms, synthesize new chemicals, and develop alternative biofuels. To learn more about our suite of high pressure homogenizers, please contact us today. As more people around the world receive healthcare and the use of bioprocesses to produce products such as fuel ethanol and bio-plastics expands, the biotechnology industry is driven to produce new innovations, productivity gains and cost savings. Homogenization in the biotechnology industry is used for many applications, including cell disruption, particle size reduction, micro and nano emulsions, and dispersions. In this growing industry, homogenizers are used to effectively rupture yeast, bacteria, E. coli, fungi cells, and more. Cell fractionation involves three steps: Extraction, Homogenization, and Centrifugation. During the extraction phase, molecules, cells, or tissues are isolated and suspended in an isotonic solution. During the homogenization step, high-quality homogenizers are used to rupture the cell to create a microscopic particle size. BEE International offers a number of industrial-grade homogenizers that utilize proprietary technology to aid in emulsification, dispersion, and grinding. BEE International offers homogenizers that utilize a constant processing pressure. This proprietary high pressure pumping system is designed to produce consistent rates of pressure, and completely eliminates the risk of contamination. At BEE International, our homogenizers improve results in the biotech industry, allowing this important industry to create more effective medications, chemicals, vaccines, and more. The design of our biotech high pressure homogenizer technology focuses on breaking particles apart in a controlled manner. In the laboratory, our instruments allow scientists to vary the cavitation, shear and impact forces applied to a formulation. Enabling developers to optimize the process of rupturing cells and producing nanoparticles. Contact us for more information on how we can help you with your application! Biotechnology is healing, fueling and feeding the world. Groundbreaking innovations in the fields of medicine, energy and food production are changing the way that we live. In the laboratory, biotechnology harnesses cellular and biomolecular processes to develop technologies and products that help improve our lives and the health of our planet. DeBEE Laboratory High Pressure Homogenizers are ideal for rupturing a variety of different cell types, including E. coli, yeast, mammalian tissue, bacteria, algae, fungi and insect cells. We know that while some cells need just a gentle pressure for rupture, others (like yeast or fungi) are more challenging. With our biotechnology high pressure homogenizers, the end result is a higher yield in a shorter time. Our biotechnology high pressure homogenizers are the most efficient fluid processing equipment available for particle size reduction for micro and nano emulsions and dispersions. Our equipment can produce nanoparticles of around or below 100 nm. Innovation and experimentation go hand-in-hand, and for this reason, our unique modular technology is designed for process flexibility. You are able to optimize the pressure for each different application or cell type (without damaging the intracellular materials). Our biotechnology high pressure homogenizers improve results in the fields of Bio-pharmacy, Nano-biotechnology, Bio-agriculture, Industrial-biotechnology and Bio-environment. Scientists are able to create more effective medicines, modify microorganisms to produce vaccines and antibiotics, synthesize new chemicals and develop alternative biofuels that work to preserve our environment. We know that laboratory results are meaningless unless they are repeatable on a larger scale. BEE International guarantees that all laboratory results are 100% scalable up to manufacturing volumes, allowing you to bring your innovations to the market. BEE International Applications and Service Group provides equipment training upon initial installation, as well as additional training at a later stage for any new operators. We provide free technical support via telephone or email, and our knowledgeable, responsive staff are here to ensure that you get the best use out of your new equipment. We also offer application support, and would love to help in developing your new product or improving an existing one. Click here to learn more about our free, confidential sample testing service. Contact us today so that we canhelp you make sure you have the right equipment for your biotechnology research laboratory. The biotechnology field is the love child of the biological, technology, environmental, and agricultural industries; it fuses concepts and ideas from each to develop innovative, useful, and life-saving products. The development and testing process that precedes consumer access to these products, however, require specific equipment. In particular, homogenizers use mechanical force alongside intensive mixing for effective creation of medicines, chemicals, biofuels, antibiotics, and more. Here we delve into the specific uses and essential roles for homogenizers within the biotechnology industry. Cell materials are critical components of some of the most effective products coming out of the biotechnology industry. Equipment that can disrupt multiple cell types like E. coli, yeast, bacteria, mammalian tissue, and fungi should therefore be considered by any researcher engaging in this technique. Homogenizers can easily accommodate cell rupture in a number of ways; not only are they customizable so as to easily optimize the process for a given cell type, but they also use mechanical force, like cavitation, impact, process intensity, and shear, instead of solvents or chemicals, potentially preserving molecules of interest. The search for equipment to support your biotechnology application should begin with a consideration of how the above-listed factors will improve the product’s quality. Although many companies manufacture homogenizers, few are of the high quality needed to achieve reliable and reproducible results. Importantly, even fewer are customizable to a product’s specific needs. One example of equipment that does meet such expectations is the high pressure homogenizer by BEE International Technology. BEE’s products are trusted by researchers and lab managers around the world for key benefits, such as production of nano/micro emulsions, dispersions, and suspensions; importantly, this equipment can lyse a variety of cell types while preserving crucial intracellular contents through customizable machinery. Additionally, it can achieve consistent particle sizes at or below 100 nm, a crucial factor for researchers & corporations in the biotechnology industry. 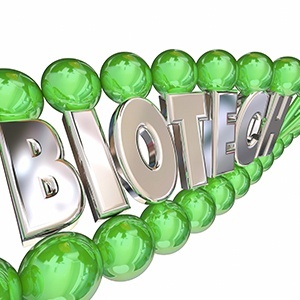 The biotechnology industry is a booming field, manufacturing products that serve a range of uses in today’s society. These applications include, but are not limited to, antibiotics, recombinant proteins, and fermented food/beverages. Powerful mixing techniques are required for most of these products, the most common type being homogenization. In this edition, we have compiled a few of the most common and important uses for homogenizers specific to the biotechnology industry. Although there are many particle reduction options in terms of type of equipment and brand, a high pressure homogenizer is an optimal equipment selection. Homogenization provides consistent and uniform output, which speaks directly to a product’s performance. It is also impressively cost-efficient as compared with other particle size reduction methods. Not only does homogenization require fewer passes to achieve the same product, which minimizes processing time and uses fewer reagents, but it is also easy to clean and reusable. Finally, the scalability from laboratory experiment to manufacturing is easily done when you purchase your homogenizer equipment from a quality company. Nanoparticles are critical to applications such as tissue engineering, fluorescent biological labels, and gene delivery. High pressure homogenizers offer specific benefits that enhance the quality of the produced nanoparticles. Firstly, homogenization combines both pressure and mechanical forces to achieve a uniform and consistent product. Mechanical forces including cavitation, impact, process intensity, shear, and turbulence can be easily adjusted to optimize product results. And secondly, many homogenizers offer both hot and cold options. Hot homogenization uses heat above the lipid melting point to obtain an aqueous phase, while cold homogenization, developed to overcome the drawbacks of using heat, is conducted with solid lipids. Each method is preferable to different circumstances. (2) Additionally, as mentioned above, nanoparticles are typically higher functioning when comprised of small particles; this is an easy feat for most homogenizers. The search for equipment to support your biotechnology-related product should begin with a consideration of how the above-listed factors will improve the product’s quality. Although many companies manufacture homogenizers, few are of the high quality needed to achieve reliable and reproducible results. Importantly, even fewer are customizable to a product’s specific needs. One example of equipment that does meet such expectations is the high pressure homogenizer by BEE International Technology. 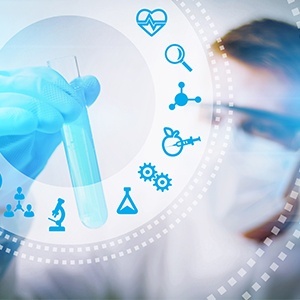 The biotechnology industry is booming with the increasing demand for alternative biofuels, modified vaccinations, and effective medicine with fewer side effects. Synthesis of most such products requires a mixing method that can achieve both particle size reduction and cell lysis. The preferred mixing method is homogenization, specifically high pressure homogenization, in its significant advantages over other existing mixing methods. Read below to learn more about the advantages of using high pressure homogenization for biotechnology research. 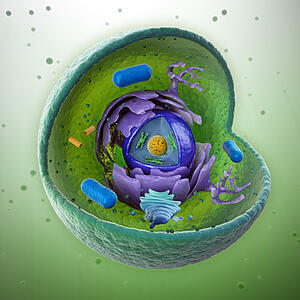 Gaining access to intracellular contents requires penetration of the protective cell barrier. For cells such as bacteria, plant, and yeast/fungal cells, a tough cell wall must be penetrated; yet mammalian cells require less force to disrupt the cell membrane while leaving intracellular contents intact. Quality high pressure homogenizers typically offer the user autonomy to alter the pressure, so as to accommodate multiple cell types. In addition to high pressure, multiple mechanical forces act on the product; these include process intensity, cavitation, shear, and turbulence. Each can be easily adjusted to meet the diverse needs of biotechnology researchers. Many of the products coming out of the biotech industry require access to intracellular proteins. As noted above, high pressure homogenizers are customizable to help optimize the process. Just as important, however, is the product yield from that process. Hot mixing methods oftentimes cause product degradation, which adds up over a long period to confer increased spending and time spent. A key benefit of high pressure homogenizers is the use of pressure instead of heat, which allows for higher protein recovery. Particularly applicable for researchers in the biotechnology industry, scalable equipment can adapt to increased demand and/or sample size. Because most biotech products are destined for manufacturing, they will eventually need to be successful in a large-scale machine. Before progressing with a technique, it is essential to have a clear understanding of its purpose and goal result. A company that manufactures homogenizers for both laboratory and industrial use will be the safest bet. A technique that was optimized with a laboratory homogenizer will then easily translate to a larger-scale program. The search for particle size reduction equipment should begin with a consideration of how the above-listed factors will improve the quality of your products. Although many companies manufacture homogenizers, few are of the high quality needed to achieve reliable and reproducible results. Importantly, even fewer are customizable to a product’s specific needs. One example of equipment that does meet such expectations is the high pressure homogenizer by BEE International Technology. Biological contamination is a constant threat in life science laboratories, and there is frankly no “bulletproof” way to prevent it. 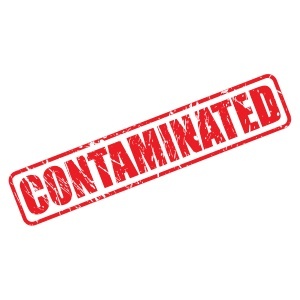 Yet with that being said, there are certainly proven ways to help minimize the risk of contamination, which not only saves time and money, but even more importantly, helps keep laboratory personnel safe. It is important that the lab has a specific area that is only used for cell culture. This area should be as far away as is practical from high-traffic areas, and it should only be accessed by authorized personnel. HVAC units, sinks, and other items or equipment should also be placed accordingly so as to minimize accidents or contamination. This is because the back splash from sinks can be a source of microbial contamination, and poorly-placed HVAC units can blow mold spores into the cell culture area. All lab personnel should be trained to follow correct culturing procedure, which includes proper aseptic techniques. For example, it is vital to work with one cell at a time in order to avoid unintentional switching of cell lines, which can ultimately lead to flawed and unreliable data. It is also important to test for mycoplasma on a monthly basis, as well as to avoid routine antibiotics, as these can hide the existence of underlying contamination. And of course, Good Pipetting Practice (GPP) is essential to support sample integrity and accuracy. It is necessary to implement standardized laboratory cleaning and disinfecting processes, and to ensure that they pertain to both work and non-work surfaces – since such surfaces rapidly collect potential contaminants such as dust. A sufficiently-stocked Biological Safety Cabinet (BSC) is also critical, and it should be placed in an area that is accessible, ensures appropriate air flow and filtration, and of course, prevents contamination. Also keep in mind that the BSC is exposed to microorganisms every time the door is opened. As such, advanced incubator design is required. For example, some incubator designs feature HEPA filtration that establishes ISO 5 cleanroom conditions within five minutes of the door opening. Other designs use a 100% pure copper internal chamber and components, and use high temperature decontamination. And there are also designs that feature CO2 sensors and humidity control. 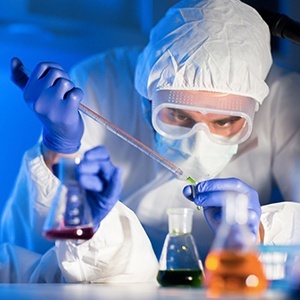 Although, as noted above, it is impossible to 100% prevent the possibility of contamination in laboratory science environments, there certainly are proven ways to mitigate the risk. These include appropriate lab design, correct culturing procedures, and suitable cleaning procedures. At BEE International, our laboratory high pressure homogenizers are designed for sanitary applications, easy to clean and maintain, which make them an essential part of an overall system to help reduce the risk of contamination in life science laboratories -- which saves money and time, and helps keep laboratory personnel safe and out of harm’s way. Learn more about our laboratory high pressure homogenizers here! Thinking about maintaining the integrity of your cells, but not sure which cell lysis method will be best? Download our complimentary eBook below! Life science laboratory personnel know that the prevention of contamination when working with cell cultures is a critical priority. However, with limited resources and pressing deadlines, achieving this objective can be challenging. 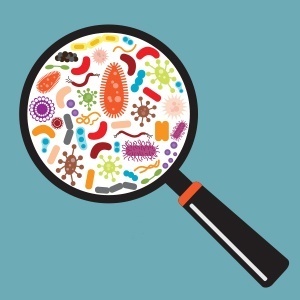 Regularly conduct visual inspections of Petri dishes and culture flasks to detect possible contamination. The appearance of a yellowish tinge (caused by acid pH) may indicate the existence of bacterial contamination. The appearance of floating clumps may indicate mold, and the growth medium becoming cloudy and opaque may indicate yeast. Use a DNA stain followed by microscopic evaluation to identify the existence of mycoplasma contamination, which affect the host cell’s metabolism, chromosomes and morphology. Contamination risks are heightened when aggressively growing mammalian cells lines mix with the desired culture. As such, pay particular attention when carrying out this process. It typically takes bacteria a few days after contamination to appear visible under a 10x microscope. Viruses replicate via host cell cultures. As such, any drugs that may be used to eliminate them can be extremely toxic to the cell line. Cross-contaminated human and animal cell lines are a growing problem and must be avoided, or else lab studies findings may be invalidated. Karyotyping and sozyme profiling can help identify interspecies cross-contamination. 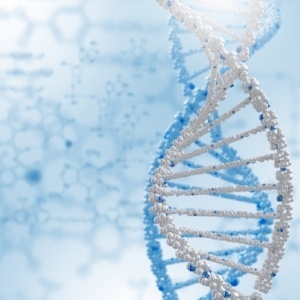 DNA analysis can help identify intraspecies cross-contamination. Protect laboratory personnel at all times! 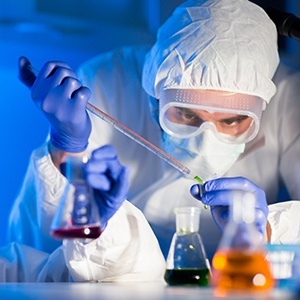 While maintaining research integrity is obviously important, the chief concern must always be the safety of all laboratory personnel – especially when viruses or other contaminants may be present. 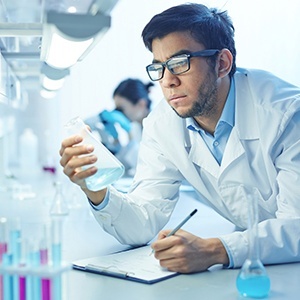 It is vital to have: a compliant and certified biological safety cabinet (BSC), properly-labeled health warnings, a sterilized work area, excellent record keeping, a clean laboratory, and all personnel must be trained in correct aseptic techniques. At BEE International, all of our laboratory high pressure homogenizers are designed for the stringent sanitary requirements of the pharmaceutical, biotech and foods industries. They are easy to clean and maintain -- which are critical factors to help prevent contamination in laboratory environments, ensure the validity of studies and findings, and most importantly: keep laboratory personnel safe and out of harm’s way. Learn more about our laboratory high pressure homogenizers here. And to find out the cleanest method of cell lysis, download our latest eBook for FREE by clicking on the photo below! Cell Rupture / cell disruption / cell lysis, by any name, rupturing cells in a controlled fashion is essential for both research and manufacturing. Some cells, such as yeasts, are much harder to rupture than others. The method chosen for rupturing the cell also has to take into account the nature of the final product- if the cell is being ruptured in order to obtain an active protein, the method chosen has to be gentle enough to not denature or damage the protein. Enzymatic digestion is often used in the laboratory as a very gentle method of cell rupture. The cell walls of yeast and bacteria are digested with special enzymes and then the unprotected cell can easily be ruptured by a mild osmotic shock. Enzymatic rupture methods are, in general, too expensive to use in large-scale manufacturing. Chemical methods of rupturing cells are sometimes used. When RNA is the desired product, rupturing cells with a strong chaotropic agent such as urea or guanidine is the approach of choice. These agents denature the proteins, including the many RNA-digesting enzymes present in cells, thus allowing the RNA to be isolated intact. Milder chemical methods, such as using surfactants (e.g. Triton), will allow some active proteins to be isolated. Chemical methods can also be expensive to use in large-scale manufacturing. Mechanical methods of cell rupture include ball mills, blenders, French presses, homogenizers, and ultrasonic disruption. Ultrasonic disruption is often used in the laboratory with yeast and bacteria, but it is too expensive to use on a larger scale. Blenders and French presses are easy to use in the laboratory, but cannot be readily scaled up for manufacturing. Ball mills are not as popular because the balls need to be removed- an extra step- and usually can only be used once- adding to the cost. Homogenizers are the method of choice for large-scale manufacturing. BEE's cell disruption technology comes in both laboratory-sized machines and also in large-scale sizes for manufacturing. The technology is an in-line process that uses cavitation, shear and impact to rupture cells. The forces applied can be precisely adjusted to be as gentle as possible or to be very harsh for more difficult cell types. The sample sizes can vary as well. For example, the Nano DeBEE Laboratory Homogenizer can also handle sample sizes as small as 15 ml. All aspects of the process can be adjusted- pressure, flow, cavitation, shear, impact and time- allowing the user to fine-tune the method for each application. The precision control of all aspects allows the method to be highly reproducible, and also allows for easy scaling-up. In fact, the Nano DeBEE Laboratory Homogenizer can handle up to 45,000 PSI / 3100 bar for maximum experimentation. The BEE machines are also easy to clean and require little maintenance. Don't hesitate to contact us if you have any questions about our cell disruption technology. We have three sizes of machines ideal for any laboratory, and industrial-sized machines for manufacturing.